Along with many other ex-subscribers to FindMyPast, I've just received an email reminder about a change of conditions for those FindMyPast customers who don't hold a current sub. As of this coming Sunday, 30 September, all previously viewed records in the section of the website called 'My records' will cease to be accessible to me. They won't be removed, however. They'll still be in the 'My records' digital store cupboard, as it were, but I won't have a key to open it unless I subsequently take out a new subscription or buy PayAsYouGo credits. There's nothing controversial about this – Ancestry has a similar arrangment for its Shoebox facility – but it's not been an issue with FindMyPast before. Going forward, holders of an active FindMypast sub will be able to view a record in their MyRecords store only if their current package includes access to that record's collection. For example, if I took out a new 'Ireland' package, I would be able to access any Irish census images or transcriptions I'd looked at some years ago, but I wouldn't be able to access any Roman Catholic baptism records from Philadelphia that I may also have previously reviewed; this is because the US records are not included in the Ireland subscription... I'd need a World sub for that. Some of FindMyPast's subscribers may have to spend time printing or downloading digital copies of their 'My Records' haul before Sunday. For me, it's not an issue (thankfully) as I've always worked on a save-as-you-go basis when I find records of my family, and I would recommend any current subscribers adopt this approach for their future research sessions so they don't get caught locked out of the store cupboard should they decide to let their subscription lapse sometime down the road. 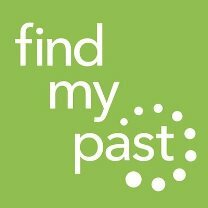 UPDATE, 27 September For clarity: FindMyPast doesn't have a filter on 'My Records' to help you sift between the records you find useful to your research and those you find to be unrelated to your research. 'My Records' holds all records you've viewed, not just the ones you wanted to keep! This is why saving/downloading/printing pertinent records as-you-go is such a good habit to adopt.